The conference for Visualisation of Biology, VizBi edition 2014, just finished last friday at EMBO (Heidelberg, Germany) and left me very enthusiastic, just like after the 2012 edition. The format has not changed much and the organisers kept all the elements I really enjoyed 2 years ago: 3 keynote talks by impressive scientists that are leaders in visualisation processes, lightning talks for posters (I'll come back to that below) and a large diversity of topics. Furthermore, this year, they added more informal sessions designed to discuss topics proposed by the participants. The keynotes talks were, this year again, very inspiring. I especially enjoyed the keynote talks by by Jeffrey Heer and Sheelagh Carpendale because they were not directly involved in biological research but gave us precious insights on research about visualisation. Heer's interests go also much further than data visualisation : he told us that he just launched a company to help cleaning data. Indeed, many data analysis and visualisation processes start with the painful process of cleaning and unifying the data. So, I bet his software could become really successful. I can remember times during my PhD when I was cleaning gene lists in which (stupid) Excel had replaced the gene “March8” by “8th of March”. Jeff Heer finished his presentation by asking for suggestions of graphs that are widely used in biology but whose efficiency to transmit the message has never been studied. Examples were the sequence logos and the circos graphs. Carpendale also presented an on-going project with Microsoft : they are designing an interactive whiteboard which would automatically understand if you are drawing a chart and would in real-time improve your chart, the labelling, providing the data according to the labels, etc. This device aim is to improve the internal communication by keeping the accuracy of digital presentation while adding the intuitive and natural feeling of drawn sketches for developing concepts and ideas. Finally, based on the citation of Henry Ford “If I had asked people what they wanted, they would have asked faster horses”, Carpendale also explained that the software designers have to thing beyond the needs of users and observe the users’ working habits to propose them new solutions that the typical user would not have thought about themselves. So basically, connecting conferences such as VizBi helps in moving the data visualisation field forward by offering new challenges coming from the needs of biologists and biology benefits from new perspectives on its data. 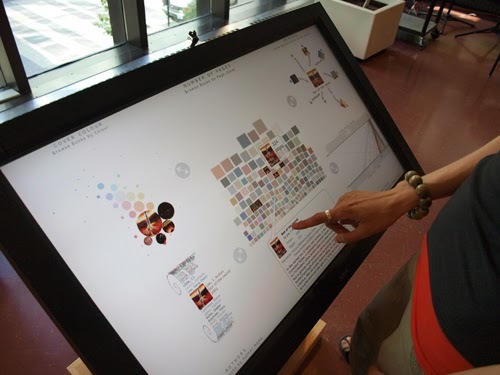 Something I love at the VizBi is how easy it is to connect with people. They manage to keep this relaxed and enjoyable atmosphere which breaks the walls between the so-called “big shots” and the curious neophytes. Part of this is for example the idea, which I already found genius when I attended 2 years ago, to offer the possibility to all poster presenters to have 1 minute on stage to briefly explain their project : the lightning talks. All conference organisers should take up this idea : it brings the human back in the scientific research and it facilitates the links between the participants because everybody has thus seen each other once. Especially in this conference that brings together people from so many different fields. This also leads to an interesting question: “Who actually attends VizBi ?" This point is crucial in the elaboration of a conference. Indeed, any visualisation or talk preparation starts by “who is your audience?” because you want to feed your audience with appropriate content. However, the subject of “visualisation of biological data” brings together people that have very divergent main interests but with a common (secondary) interest in visualisation. 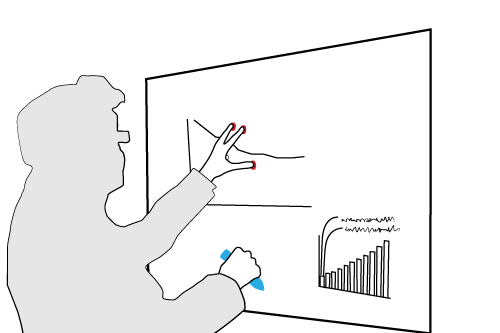 The speakers, which are all invited speakers at VizBi, have thus to present their research in an usual way : putting the focus on the visualisation processes and challenges they faced in their research. Some speakers are excellent in this exercise but unfortunately, some of them failed and gave us a recycled talk on their favorite gene or disease. This is probably the drawback of this type of conference where some speakers have not properly understood the reason why they have been invited to talk at VizBi. The big positive counterpart of this diversity is the diversity in itself : I always enjoy a lot discovering new fields of biology that I did not know so far. When the speakers are able to carry us with them, this is truly magic and inspiring. As an example, I would just pick the talk of Nadia Magnenat-Thalmann on the study of dancer’s hips. 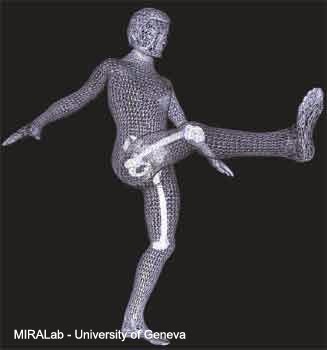 She gave me a really nice “closing the loop” feeling by connecting my admiration for the incredible dancers of the “Grand Théâtre de Genève” with the incredible hips virtual reconstruction achieved by the her team. Finally, this VizBi 2014 was a perfect opportunity to hang out with (new) friends. @LauraSymul if you're not in the auditorium: come! The Muscoskeletal system of BALLERINAS is being presented ;). There is a copyright on the images of this blog. Please ask the author before using them. Simple theme. Powered by Blogger.